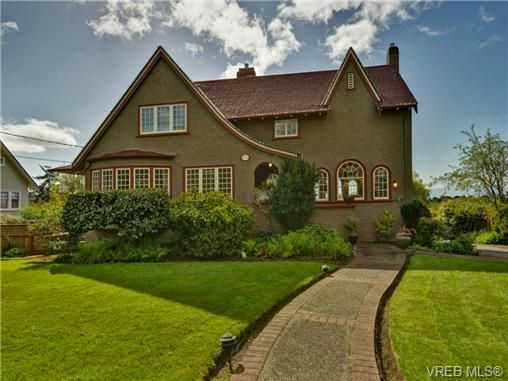 A rare opportunity to acquire this Lovely Family Home on an absolutely Picturesque 15,000+sq ft Sunny South Facing Property in Rockland, w views of the Ocean & Olympic Mountains. Located on one of the most coveted streets in Victoria, this family home features a Gourmet Open Kitchen With Eating Nook & Access to the Sunny Deck/ Hot Tub, Family Room & Separate Dining Room, 3 Bedrooms on the Upper Level w Views & Spacious Living Room w Hardwood Floors w Oak Inlay. For your comfort the house has been meticulously maintained w a Newer roof, New Gas Boiler/Hot Water, Newly Painted Exterior & Mature Gardens, w the potential for possible future expansion. A really special offering in this PRIME LOCATION, steps to Dallas Road & Cook Street Village. I make myself available at all times. My web site is here to help you 24 hours a day. You can search listings at your own convenience, browse reports, and read up on real estate info on your own terms. When you are ready to see a listing in person, or just have a simple question, please dont hesitate to contact me! For a great way to search on your phone try my free real estate app. Just text HOUSE411 to 65656. It's that easy!